This week, we drive the 2015 Lexus IS Sedan, a powerful sport sedan that competes with the best sport sedans in the business, ala BMW, Audi, Infiniti, Mercedes-Benz, Cadillac and Lincoln. Delivered with a $3,740 F Sport package, our Lexus tester was a pleasure to drive and provided spirited performance when called on. Notable is that even in performance F Sport trim, our IS350 still adheres to the “opulence gene” inherent in all Lexus brand vehicles. Listed as a compact sport luxury sedan by EPA standards, the F Sport trim equips a standard IS350 with both aesthetic and performance additions, including a color coordinated front bumper, very large sport mesh grille, LED Headlamps, 18-inch wheels on split five-spoke wheels, performance tires, special instrument cluster, high-tech variable suspension system with three drive mode selections, race-bred aluminum pedals, heated and cooled seats, large four-wheel discs, leather trim and much more. 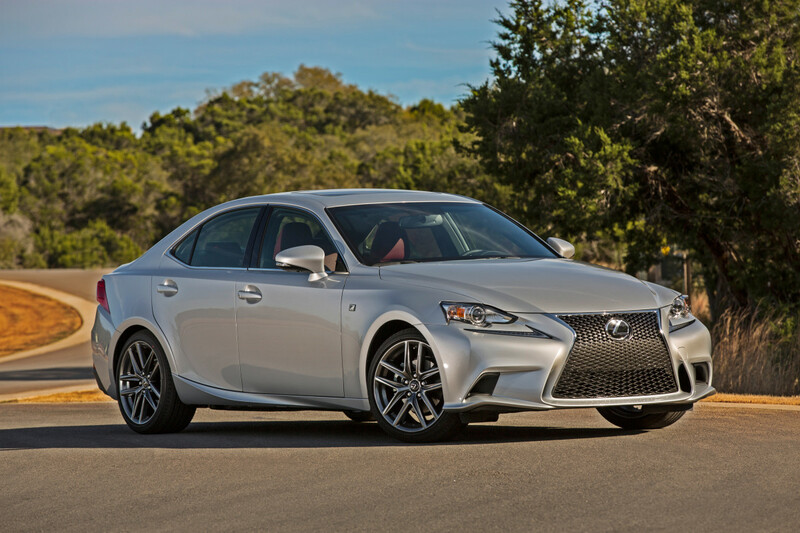 Your dealer will review all aspects of F Sport if high performance is your intent. For those who buy Lexus models strictly for comfort and convenience, fret not. 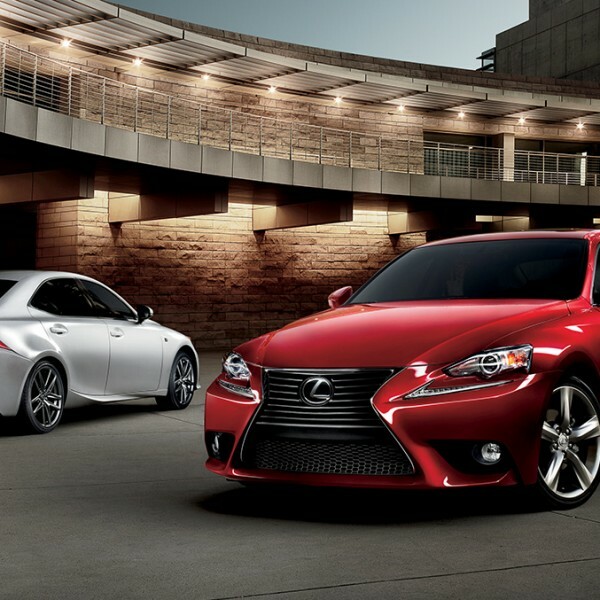 Take $3,740 off the IS350 price, and you still have an amazing vehicle. IS350’s line of standard equipment includes 17-inch tires and wheels, xenon headlights, LED running lights, fog lamps, heated mirrors, moon roof, dual-zone air, tilt-and-telescoping, power front seats, leatherette interior, eight-inch display with “mice” like control dial, eight-speaker stereo, Bluetooth, Sirius/XM, USB, iPod, dual chrome exhaust and much more. Additionally, all of the modern day safety equipment result in Five Star government safety ratings. Our tester featured a Navigation option for $1,855 (expensive) which adds safety rearview camera, voice command, remote touch interface and Lexus “Enform Destinations” with one year trial subscription. A $600 Blind Spot monitor with rear cross traffic option is recommended while a $255 accessory package with trunk mats, cargo net and wheel locks, is not. A final $400 variable gear ratio steering system option is recommended for the performance driver who demands the best. 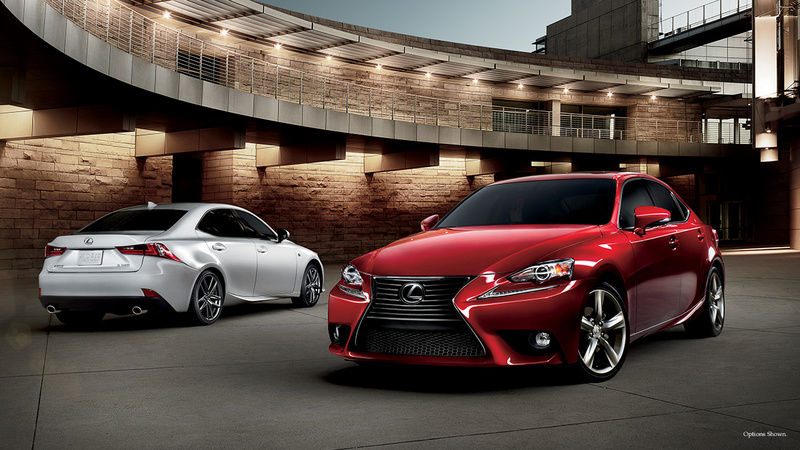 Under the hood, IS 350 receives power from a 3.5-liter V6 developing 306 horses and 277 torque. The engine couples to an eight-speed automatic which is standard except for the all-wheel-drive IS350, which uses a six-speed automatic. Paddle shifters make driving the F Sport more fun, and necessary for correct gear RPM in downshift and upshift situations. Thus, if you enjoy spirited driving when the times and conditions are right, F Sport is for you. EPA numbers are decent but not great at 19 city and 28 highway, while the AWD IS350’s deliver 19 and 26, respectively. (An IS250 V6 with 206 horses starts at $36,550). Notable is F Sports very throaty engine sound that mimics the best of muscle car engines when RPM’s rise. I have to admit I took advantage of hearing it perhaps once too often it sounded so good. The eight-speed transmission receives extra kudos, as it never once was guilty of searching for a gear when in full automatic mode. Expect zero to 60 in 5.7 seconds. 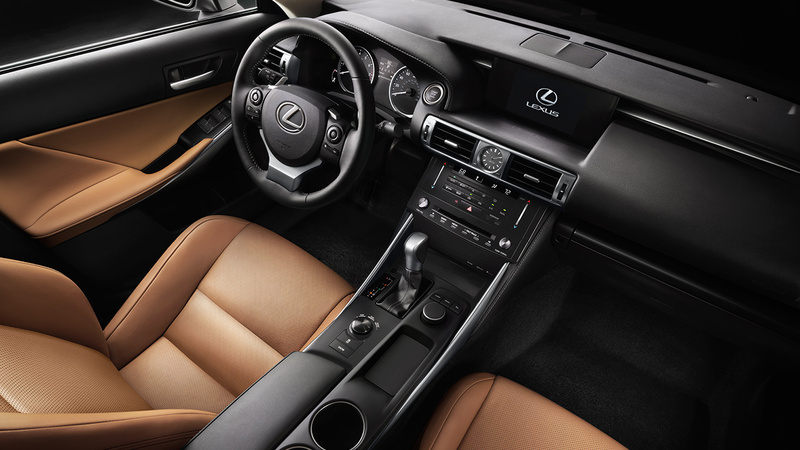 Inside, F Sport’s cabin is impressive, delivering performance enhanced additions that complement the built-in elegance a Lexus consumer expects. The dashboard is well-done and all switches and dials are in easy reach. The aforementioned performance inspired instrument cluster is digital, although I didn’t care much for the “touch” temperature slider for in-cabin temperatures on the full color display. I also gave up on any manual Navigation settings as it was too confusing and relied on voice recognition to test the system. Thankfully, it worked fine in voice mode. On the road, expect a harsher ride thanks to the F Sport tuned suspension, but thanks to the F Sport suspension selection dial, the shock absorber settings at each wheel are either toughened up or softened depending on “Drive Mode Select” (ECO, Normal or Sport) road surface, vehicle speed and your driving style. For me, the F Sport package would surely be included on my option list. Important numbers include a wheelbase of 110.2 inches, 3,593 lb. curb weight, 13.8 cu. ft. of trunk space and a 17.4 gallon fuel tank. In summary, Lexus IS350 is a great car, and in F Sport dress it competes with some of the very best sport luxury sedans in the world. Perhaps the best recommendation of all is admitting I’d love to have one sitting in my driveway…permanently.